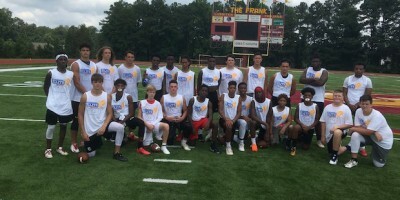 The Georgia Elite Classic Showcase held at Lassiter High School on July 15 awarded 29 of its attendees with invitations to compete in the Georgia Elite Classic’s lineup of all-star games this upcoming December. The players participating spanned from the Class of 2019 through the Class of 2024 and showcase coordinator, Georgia Elite Classic Director of Player Personnel and 247Sports analyst Rusty Mansell managed the evaluation process. 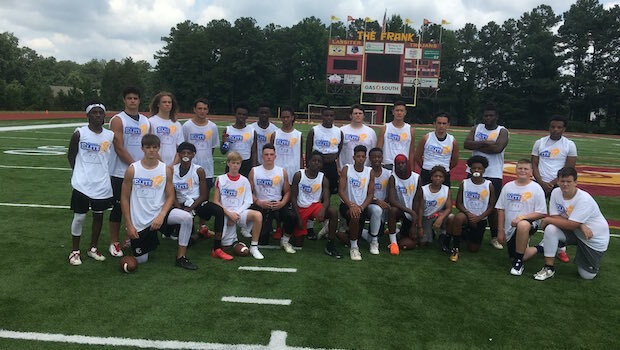 This offseason’s earlier showcase, which took place at Grady High School on April 21, handed out 17 invitations, but it started at the Class of 2019 and stopped at the Class of 2021. The announcement that this year’s Georgia Elite Classic would be adding a 7th and 8th grade game came three weeks after the Grady showcase and opened the door for the six middle schoolers that earned invites this weekend: Running back Harlem Diamond, Defensive end Justin Benton and defensive tackle Gatlin Hancock earned spots in the 8th grade game and running back Caden Williams and quarterbacks Reece Fountain and DeMarius Hines earned spots in the 7th grade game. Pace Academy running back Donavan Johnson clocked a 4.8 in the 40 and was one of the 10 Class of 2022 prospects invited to play in this year’s freshman game. Xian Cowher, who played for the Freshman American Team at last year’s Georgia Elite Classic, ran an impressive 4.65 and got invited back to be featured in this year’s sophomore game. Hillgrove cornerback Noah Abrams was also invited to play in the sophomore game and posted a 4.61. North Paulding running back Noah Alleyne ran a 4.64 and was one of the seven that earned a spot in the junior game. 7th Grade Elite 4 p.m.
8th Grade Elite 6 p.m.